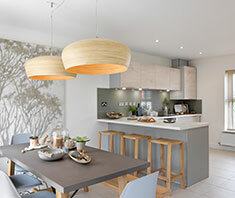 Whether you frequently cook up a storm or you’re more favourable to a takeaway your kitchen is the heart of your home and is one of the best places to make an interior statement. Gone are the days of playing it safe with high gloss units and vinyl flooring. Instead, 2019 sees a new blend of form and function being bought into your kitchen. So, we’ve gathered our top five kitchen trends that we think you should look out for this year. Green can be a scary colour tone to experiment with, especially in the kitchen. It can be equally dramatic and luxurious but when used correctly can really make a great statement. Deep forest greens can be balanced out with latte shades, smoky glass and soft metalics to really make the room work. And a combination of white marble worktops and brass lighting/accessories will help balance light around the room, offsetting the heavier hues from the green units. A lot of the colour palettes used this year have been inspired by natural disasters that unfortunately took place last year. The earthy tones set a trend for the coming year making black the perfect statement. 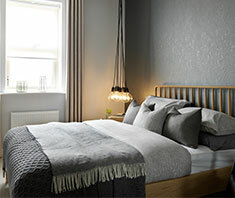 Especially when in contrast with rich coffee browns, shades of grey, taupe and biscuit beige. Done right, this could create a real atmosphere, making your kitchen a statement room. 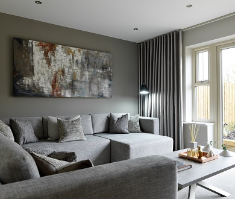 With any room in your home you want to try and maximise the space you are given. Sliding doors and hidden drawers are perfect for this as well as being incredibly versatile. Concealed storage is the best way to keep your kitchen looking clean and fresh. Taps are such a simple touch to any kitchen and with technology coming into our homes left, right and centre it’s not only the grand, farmhouse taps that create a feature. Digital, sleek, stainless steel taps also make a feature, making it a talking point in your kitchen. 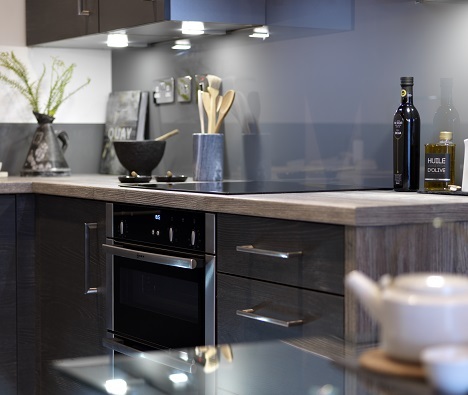 Splashbacks are no longer there for a practical element but instead they’re being used as a focal point in your kitchen. Like how you would use paint or wallpaper to create a feature wall, splashbacks are being used to achieve the same look. They are set to become increasingly popular over the year creating a real focal point in your kitchen.